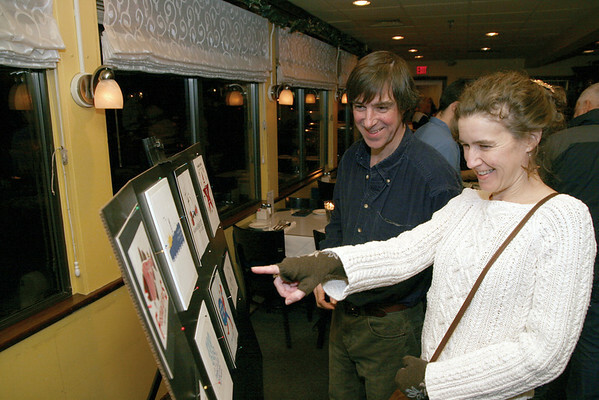 Marblehead:Ê Amanda Sylvester is all smiles when she learned that her logo was the winner of the Logo Contest, her husband, Martin, is at her left, both are from Salem. Her winning entry will be featured during the MFoA's Arts Festival, July 1-5, 2009, at the Marblehead Festival of Arts Annual Logo Premiere Party, Tuesday, at the Landing Restaurant, Marblehead. Photo by Frank J. Leone, Jr.